On May 3rd, the six-month anniversary of The National Catholic Board on Full Inclusion, we decided to honor inclusive Catholic educators who are the silent, heroic, fly-under-the-radar-just-do-the-right-thing type. The award highlights people who have been inclusive just because it is the right thing to do…they have unhesitatingly said yes and found a way to make it work. They are doing the work behind the scenes…without any glory…just because of their humble faith and their dedication to all students. We have called this award The Dandy Award. 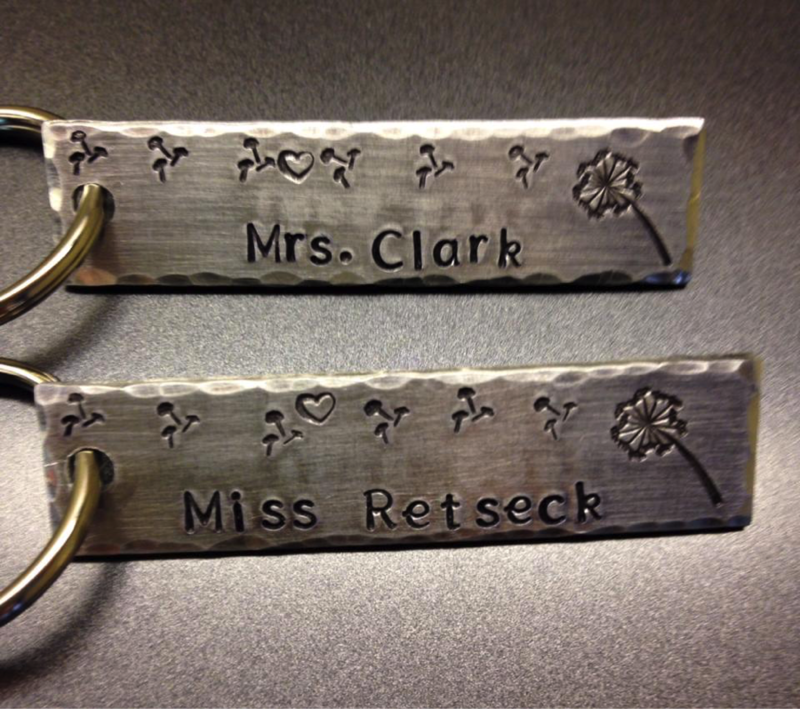 The award winners will receive a note of commendation and a personalized key ring as a token of appreciation. We’re starting with Miss Retseck, former principal at St. Matthew Cathedral School in South Bend, Indiana, along with the current principal, Mrs. Clark. Miss Retseck was featured in a story of inclusive opportunity that Rick Becker shared in Catholic Exchange in April. Rick wrote about his son Nicholas who has Down syndrome and who is a 3rd-grader at St. Matt’s thanks to Miss Retseck’s initiative and Mrs. Clark’s continued support. 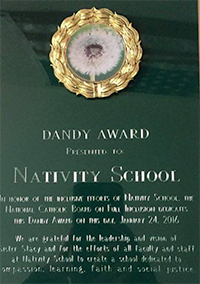 In honor of the inclusive efforts of Nativity School, the National Catholic Board on Full Inclusion dedicates this Dandy Award on this day, January 24th, 2016. (Given during Catholic Schools Week in 2015) We are grateful for the leadership and vision of Sister Stacy and for the efforts of all faculty and staff at Nativity School to create a school dedicated to compassion, learning, faith and social justice. 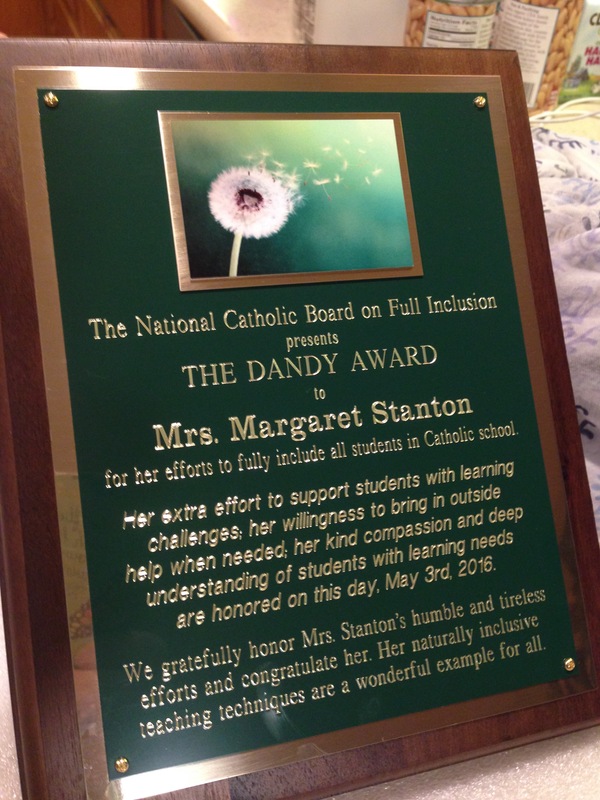 On May 3rd, 2016, Mrs. Margaret Stanton was honored with The Dandy Award. Mrs. Stanton is a 2nd grade teacher that is naturally inclusive and accommodating. Mrs. Stanton intuitively sees a need for a student and offers a differentiated approach. She will work with students to provide what they need to be successful. It can be an additional support to a desk to help feet feel firmly planted and comfortable; specific tools provided to a student as needed throughout the day for an incentive or a sensory break; supplemental materials for student success or in this case, specific instruction with a Deaf and Hard of Hearing Teacher from the county to teach all students in her class American Sign Language so that one student is given the gift of communication and respect from her peers. Most of all, Mrs. Stanton knows how to foster a sense of belonging and connection. In her own words: “Every person belongs” and when you believe that, you find way to make that a reality within the classroom. We are grateful to Mrs. Stanton for her leadership and her example for inclusion. “As I sit here this morning, I am so grateful for Mrs. Stanton and felt the desire to write this. I know that my husband could add many other thoughts as well but here are some. I know there are many others, but this is what is on my heart this morning. *before school started in the fall, we asked to have Lyla visit the classroom to get familiar with it in an effort to reduce anxiety. When Lyla visited, Mrs. Stanton gave Lyla attention but also gave her space to explore. In a very touching gesture, we learned then, for the first time, that Mrs. Stanton had taken a college class in American Sign Language (ASL) that summer, knowing Lyla was coming into her class, so that she could have that connection with Lyla in the classroom. During the year, she uses her ASL knowledge to support Lyla, by fingerspelling words from across the classroom that Lyla needs. *knowing the struggles that we face with Lyla, at her fall SST meeting, she asked what her afternoon schedule was like. We told her of the things that normal kids get to do – go to sports practices (soccer, swimming, karate, etc)—and then we shared the other appointments she had to do because of her hearing loss and other medical issues – weekly speech with both a school district SLP and a health care SLP, therapy for mental health, and various doctor appointments, including regular hearing tests, for other various health issues. After listening intently, instead of commenting on how she hasn’t gotten her classwork done for lack of focus or doesn’t always get her homework in, she suggested that we not worry about getting homework in each day but instead turn it in when we can and if we can. *knowing the loneliness of being the only hard-of-hearing child in the entire school, she welcomes the county Deaf and Hard of Hearing (DHH) teacher on a weekly basis to teach a 15 minute lesson in ASL to the entire second grade class. For Christmas, the class learned the ASL for Silent Night to perform in the school Christmas pageant. Not only did the children really enjoy this, but it meant a lot to Lyla to feel like a special blessing to her class rather than just one who has special needs. *on days when Lyla is struggling emotionally, even if that emotional struggle displays itself as difficulty managing anger rather than silent tears, Mrs. Stanton provides support without judgment or anger or punishment. 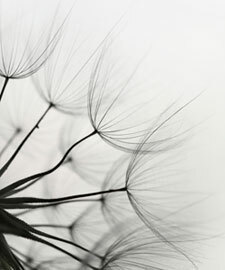 Rather, she removes her carefully from difficult situations, gives her time to process her feelings, and welcomes her back into class when she is ready. At the same time, she provides helpful feedback, again without annoyance or irritation, to her parents about strategies or approaches to helping Lyla with these struggles. I cannot say enough about what a blessing Mrs. Stanton is to Lyla, our family, all of her students, and the St. James School community. I am so grateful that God shared Mrs. Stanton’s special skills with our family. It has been healing to all of us simply to know that Lyla spends the day with someone so extraordinary. Mrs. Corcoran with her students at Immaculata Catholic School in Durham, North Carolina. “Every child can learn.” That is Mrs. Dana Corcoran’s motto as principal of Immaculata Catholic School in Durham, NC. This was the opening sentence of Mrs. Corcoran’s nomination for the Dandy Award. The nomination went on describing Mrs. Corcoran’s willingness to open the doors to students who were not traditionally welcome in Catholic schools. Students with Down Syndrome, autism, ADHD, learning delays, second language learners and those students with hearing impairments. Mrs. Corcoran wasn’t just interested in opening the doors, though. She was motivated to help the school be successful in the welcome. We are thankful for Mrs. Corcoran’s leadership and example as well. We honor her with the Dandy Award and hold her school, students, teachers and herself close as she continues her good work. Congratulations to Gus! THANK YOU to Father Pat, Mr. Halstead, Mrs. Bates and Sister Theo at Blessed Trinity Catholic School -Dandy Award Winners! CHEERS and HOORAY to Father Pat! 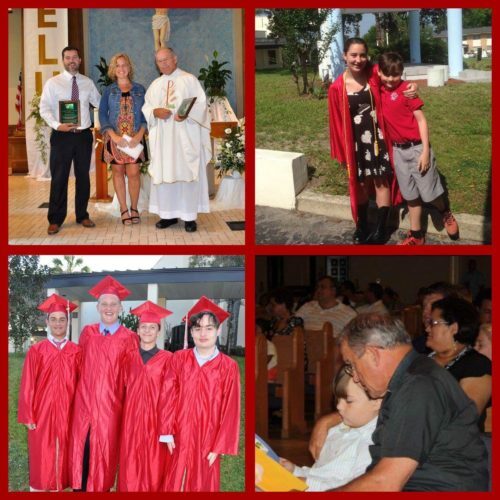 Father Pat’s response was a beautiful leap of faith…he modeled standing in the margins for his parish and school…he demonstrated that you didn’t need to have all of the answers, you just needed your faith. THREE CHEERS to Mr. Halstead, principal of Blessed Trinity. Mr. Halstead had never had a student with autism but that didn’t stop him…he had the power of YET. Here is part of the nomination letter from Heidi, Gus’ mom. Her words are powerful and speak to the isolation so many parents feel and to the depth of gratitude families feel when a school agrees to try. The entire faculty at Blessed Trinity adopted a Growth Mindset. They found a way…they worked in tandem with Gus’ family…and they didn’t quit when glitches happened. They believed in the mission of including students with disabilities enough to get out of their comfort zone. THREE CHEERS to Mrs. Bates, Gus’ 3rd grade teacher. Mrs. Bates believed in Gus…she held the vision for Gus and supported him on his way…her belief helped Gus to believe in himself. Last year, as his 7th grade Language Arts teacher, Mrs. Bates could see directly the seeds of independence and competence she had sown a few years earlier. THREE CHEERS to Sister Theo…her constant presence of acceptance and love through all of the years, helped Gus to feel supported and secure. As the school nurse, Sister Theo provided a safe haven for Gus whenever things seemed overwhelming in the classroom. Gus is indeed doing very well…in a few weeks he will graduate 8th grade and begin high school at Blessed Trinity Catholic High School…another inclusion first for the school! We are so very proud of Blessed Trinity. THANK YOU for leading the way in inclusion in Catholic schools. THANK YOU for living your social justice mission.